Peanut Butter Blossoms are another favorite treat I always make at Christmas time. This recipe makes about 60 so there are plenty to share - which is perfect this time of year. Cream together shortening and sugars. Add vanilla, peanut butter and milk. Roll into balls and then roll into sugar. 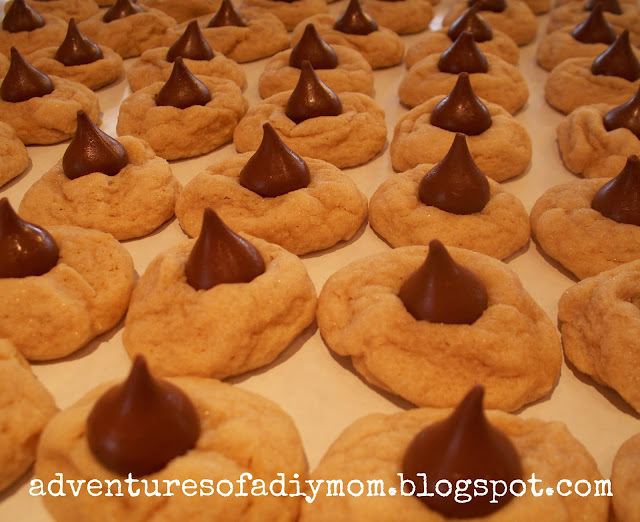 Immediately place a chocolate kiss on top of each cookie. Cream together butter and sugars. Add eggs. Mix in vanilla, peanut butter and milk. Sift in dry ingredients. Mix well. Shape into balls about the size of small walnuts. Roll in granulated sugar. Place on greased cookie sheet. Bake at 375 for 7-8 minutes.